Face-Off: World of Warcraft versus Tera Online Comparison. Let’s look at the comparison tables of two MMOs and see if the next generation halts veteran MMO experience. Tera was touted as a WoW clone or a WoW killer. The comparison below should give you a fairly basic idea on the head-to-head matchup between two hugely popular MMORPGs. Will the giant in WoW stay on its massive MMO throne? Or the graphical masterpiece in Tera Rising shake the very foundations of the online gaming world? Let’s find out. WoW versus Tera, Which is the better MMO? Blizzard is slowly increasing the polygons and making the textures more alive with WoW. Unfortunately, the game age of WoW still makes it dated as a whole. The graphics engine itself may need a future revamp. Tera is one of the most beautiful MMOs in the market if not the most gorgeous graphical MMO as of the present time. Tera draws strength from the unreal engine and the eye-candy is truly magnificent. Even small kids can learn to play WoW in a few minutes. This is a no-brainer WoW advantage. The learning curve in Tera is too steep that even seasoned MMORPG gamers can be put-off. The cartoony nature of WoW is its main strength. The art itself of WoW is what makes this Blizzard game a phenomenon. If anybody doubts it, just look at the number of remaining subscribers after a decade of game life. And if anybody thinks about the so popular DoTA mod, it was based on the Warcraft 3 art design. No doubt that Tera sports the best graphics machine in the MMO arena today. Tera draws strength also from ultra female sexiness. Tera is nevertheless a stunning graphical experience. However, the art design itself is a little bit mediocre and may leave some players wanting for more. And the design team should be reprimanded for letting modern cars and modern clothing be part of the persistent world in Tera. It is absolutely a game-breaking experience. Weapon and armor designs in WoW are beautiful, but it falters in design compared to other games. World of Warcraft Legion is being geared to change this reality. Enormous weapons, shiny blades, huge battle hammers and axes. Tera Online wins this one. There’s no complaining if WoW cutscenes become part of a full HD movie. It’s just gorgeous and visually appealing. Cutscenes in Tera are bland and leaves no memorable impression. WoW Character customization and cosmetic options seem repetitive and generic. 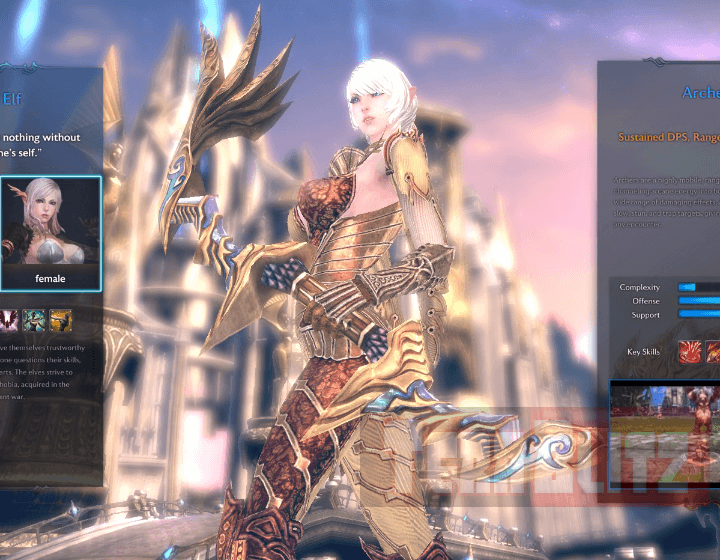 Tera sports a modest list of character customization options. There is also a ton of cosmetic and clothing perks and enhancements. Impossibly gigantic Azeroth world map which lets you travel using portals, flying mounts, ships, zeppelins, trams and even by foot. The adventures in travelling in WoW is truly an amazement to behold. By using teleport devices, flying mounts and even the walk paths, Tera eases world travel. Still, Tera seems to lack in this area. Uses Tab key to target enemies, Enemies can hit you even when they are not facing you. 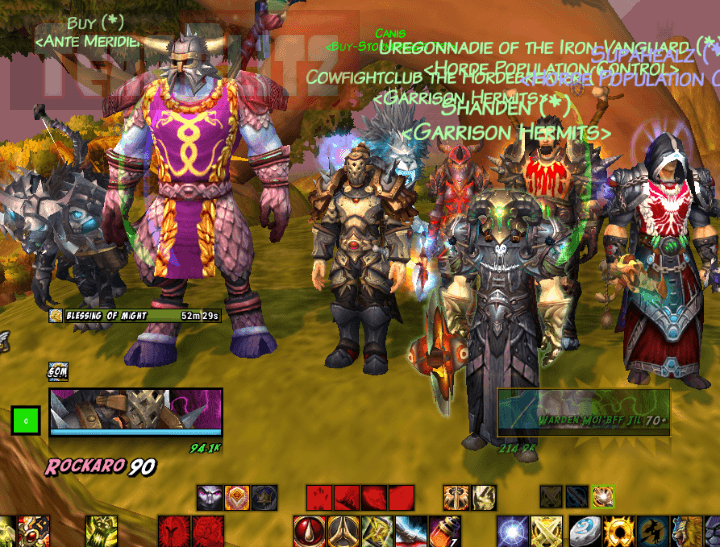 WoW combat is easy, but some gamers look for that real competitive combat edge, which WoW honestly lacks. Overpowered rogues, monks and warlocks persist to be a norm in WoW. One word: FUN. Tera uses FPS crosshair to target enemies, Action Based Combat, Real Time Dodging, Real Time Block, Attack and Damage Evasion, Realistic Range fighting. Tera Online WINS here, no doubt. Excellent performance even on older jurassic machines. Starting locations are light to computing resources. 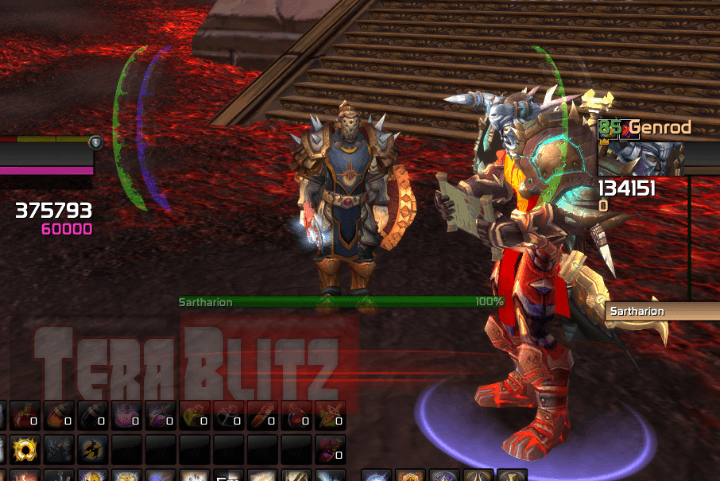 However, bugs and lag issues still hound the Garrisons (in Warlords of Draenor). Either Blizzard suspends it for re-coding or they remove the feature entirely. Performs well in older machines but bugs and glitches with certain graphics cards like with nVidia and AMD can put-off most players. Needs tinkering with graphic card settings for bug-free experience. The content of WoW is enormous that all other MMORPG titles pale in comparison. No game can compete against WoW when it comes to content. Everything in WoW rocks: the storyline, race lore, quests, achievements, dungeons, battlegrounds, raids and legacy content. Tera is a certified WoW clone and yes, Tera is an interesting MMO but it lacks in complex content. This is where Tera really falters. The story of World of Warcraft is so immersive that you can absorb the lore and roleplay by starting from any given race and class. Play as an alliance hero or be part of the dark horde storyline. Any point still manages to excite fans and new players alike. The story of Tera is rich what with the Argon invasion. However, compared to WoW, Tera’s two gods lore is not as engaging. Voice acting in WoW is so realistic that you start to believe the character portrayed by the voice actors. Mediocre voice acting. ‘Nuff said. World of Warcraft background sounds need some overhaul love. Engaging sounds from your natural environment, character voice, mount sounds and enemy NPCs, audio is spot-on. Paid Subscription. You can play for free for a severely limited and handicapped character up to level 20 with a poor man’s gold bag. Blizzard should at least make that free experience memorable specially for upcoming new players. Free to Play. Great opportunity for those strapped with cash. Unfortunately, Tera is also a Pay to Win. Paid for Elite Status gives you the ability to teleport anywhere anytime. If you want to get some advantage over other players, real cash pays for the perks. Nothing comes close to WoW macros. Add to this a fairly basic interface with easy shortcut keys and you go to weave your WoW character in no time. With LUA programming, World of Warcraft also offers loads of scripts and game enhancing addons. High learning curve even for the basic keys. Granted, you can change your keys anytime, but who in his right mind designs a shortcut key for your item bag using letter “i”? Tera also suffers a sort of mouse hardware glitch if you have a joystick connected to your PC. WoW’s quests may seem pretty basic at first, but the lore tied-up with the quest doesn’t feel like a grind. Seems like a repetitive grind errand. Mob respawn in a matter of a few seconds. The positive note is that the Help center (Press H) can help you teleport to daily quests with ease. Other than that, nothing of note here, just move on. WoW dungeons are elegant. The lore itself makes the dungeons and raids standout. Defeating heroes like Illidan, Arthas and Garrosh Hellscream makes instance immersion memorable. With the plethora of classes that you have in WoW like different types of healers, tanks and DPS – instance grinding should be fairly straightforward. Soloing an instance in WoW is possible as long as the player is at least a level 10-20 higher than the instance required level. Heroic Dungeons and Mythic Raids require strict item levels. Scenarios can help you earn some amount of gold and select items. 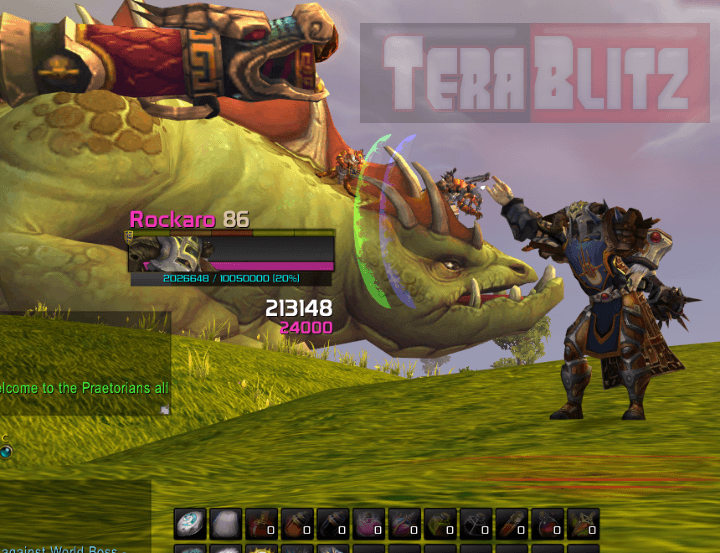 World of Warcraft makes playing in battleground as easy as eating pies. Victories in BGs can net a player tokens that can be used to purchase select rare and elite items and mounts. Pulse pounding combat action in Dungeons require expertise of combat skills. There is also a hardmode dungeon type. An instance crew consists of a team of one Defense, three Offense, and one Support. The problem with Tera instances is that there is only one type of tank, the Lancer. Tera fixed this by introducing a new class capable of tanking, the Berserker. You can solo dungeons and BAMs in Tera. Instance soloing in Tera is plausible for skilled players. Tera’s multiplayer battle shines best in Guild Battles. Tera also adopted the strategy of WoW by implementing battlegrounds. In duels, you can gamble your gold and earn by defeating your adversary in the match. PVP offers select weapon and armor rewards too. As soon as you birth your character in Azeroth, you’ll be bombarded with Guild invites. Get help from seasoned veterans or form your own guilds. Guild community is fairly nice and a bit helpful, but not as engaged compared to WoW. Been grinding with all my toons for three days and got no guild invites when I was starting. Important note: Been playing WoW ever since the Beta release. I’m still fairly new with Tera, so if you have additions or clarifications regarding this review, feel free to post your comments below.